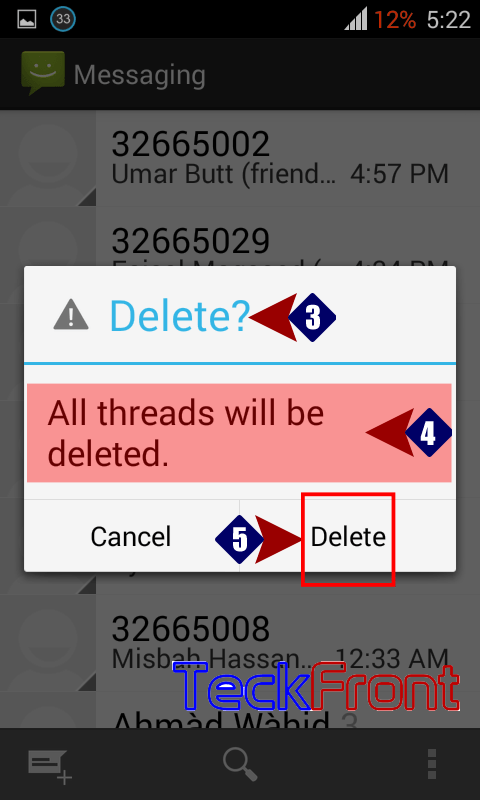 How to Delete all Threaded Messages in Android KitKat 4.4.2 Phone? To save the space and to avoid the unnecessary filth in message box, it is advised to get the message box cleared, from time to time. If you want to get rid of the threaded messages, you may delete all the threaded messages in your message box of Android KitKat 4.4.2 phone. You may perform this by just one command. Command Line: Messaging app > Settings button > Delete all threads. 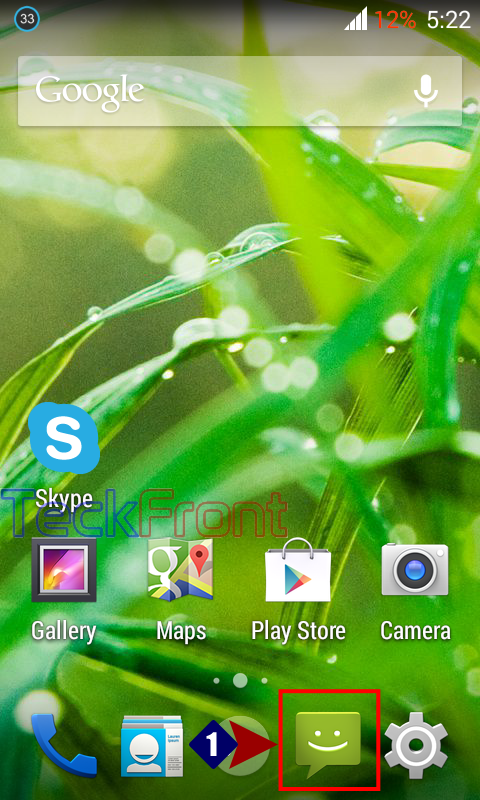 1: Tap the ‘Messaging’ app to open the messaging app screen. 2: Tap the ‘Settings’ button, available on the bottom right corner of the messaging app screen. It will open up a drop-down menu. 3: In the drop-down menu, tap ‘ Delete all threads’. 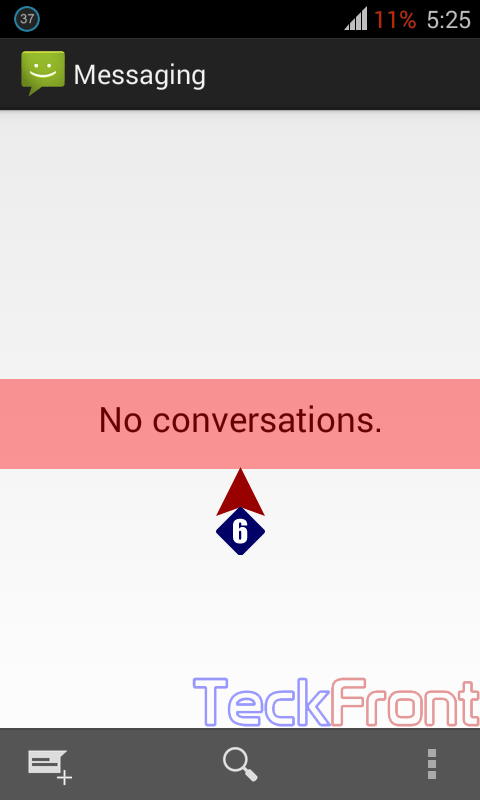 4: It will open a prompt, warning you that it will delete all threads (conversations). 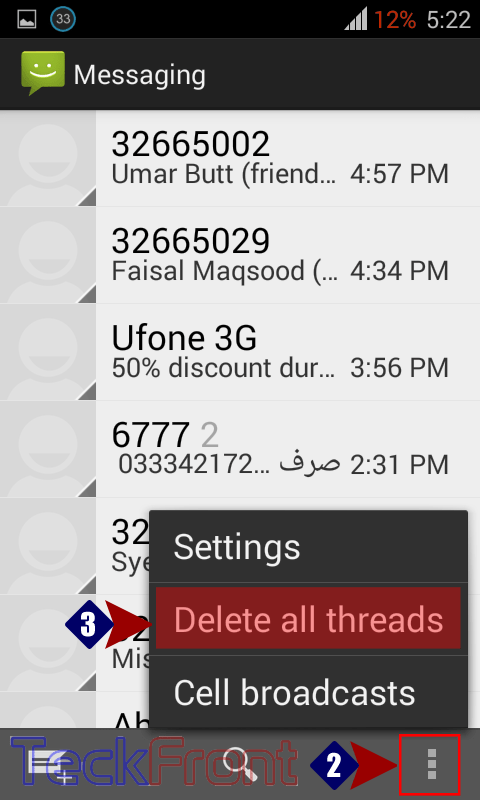 5: Tapping ‘OK’ will delete all the threaded messages. 6: See the message box is vacant. That’s all! Newer How to Enable Long Press Action for Home Button of Android KitKat 4.4.2? Older How to See Call Details for Individual Numbers in Android KitKat 4.4.2?